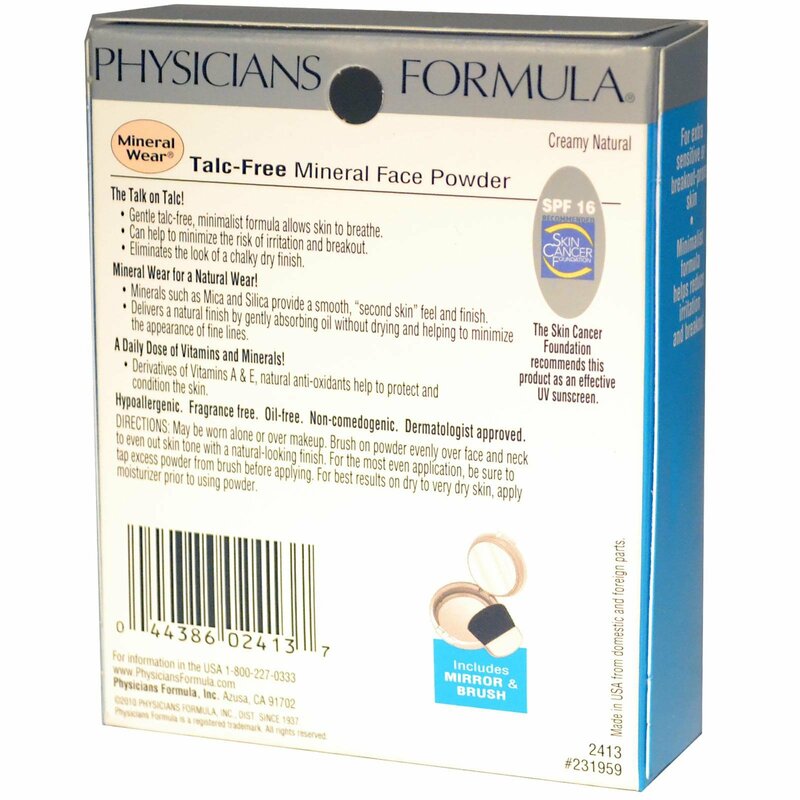 Gentle talc-free, minimalist formula allows skin to breathe. 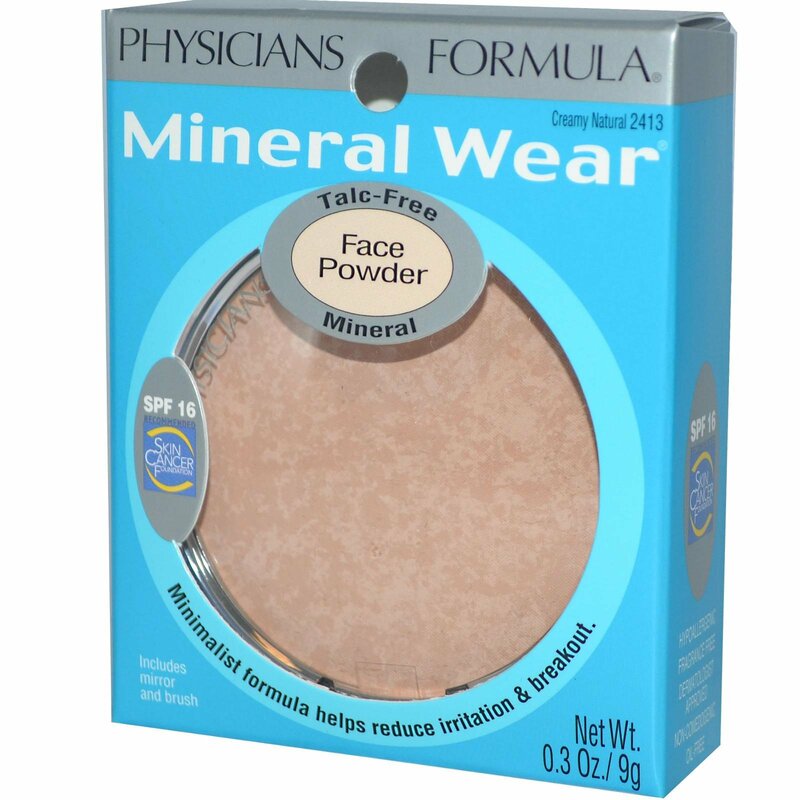 Mineral Wear for a Natural Wear! Minerals such as Mica and Silica provide a smooth "second skin" feel and finish. Delivers a natural finish by gently absorbing oil without drying and helping to minimize the appearance of fine lines. A Daily Dose of Vitamins and Minerals! Derivatives of Vitamin A & E, natural anti-oxidants help to protect and condition the skin. May be worn alone or over makeup. 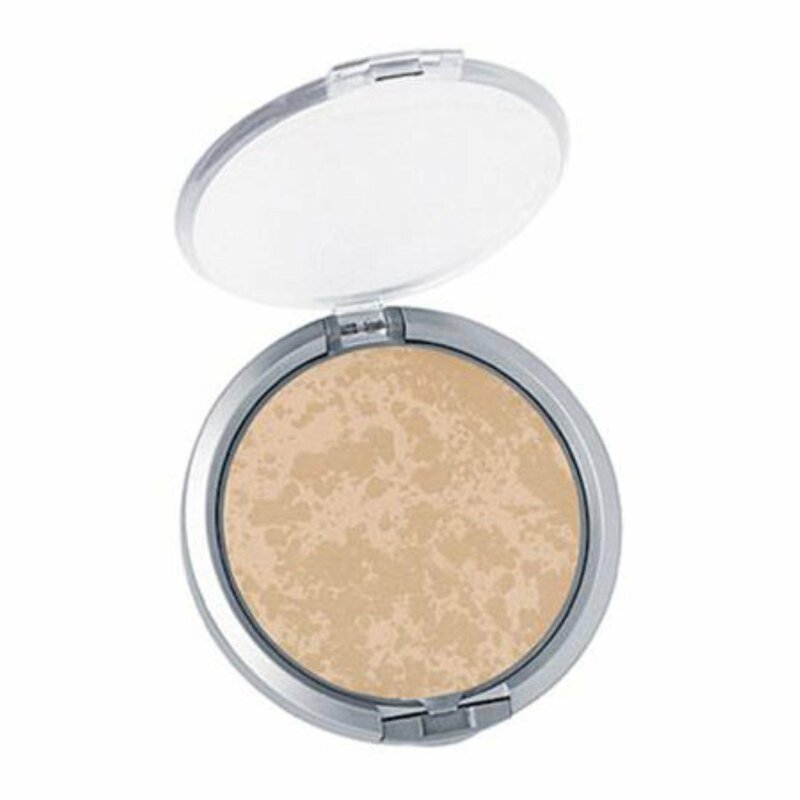 Brush on powder evenly over face and neck to even out skin tone with a natural-looking finish. For the most even application, be sure to tap excess powder from brush before applying. For best results on dry to very dry skin, apply moisturizer prior to using powder. Active Ingredient: Titanium dioxide 6.0%, zinc oxide 4.2%. Inactive Ingredients: Mica, squalane, silica, boron nitride, lauroyl lysine, kaolin, retinyl palmitate, tocopheryl acetate, methylparaben, propylparaben. May contain: Iron oxides, ultramarines.